I will freely admit that I have had a huge number of mobile phones and Personal Digital Assistants (PDA’s) in the past 15 years. Before smart phones existed, combining PDA’s and Mobiles into the one unit just wasn’t a possibility and working around computers, lots of data and lots of people made for hundreds of contacts, necessitating some serious organisational capacity requirements. By contacts, at its peak I had over 3,000 individuals and with SIM cards at the time not being able to hold more than 99 entries, was far in excess then what the venerable paper address book could cope with. As a consequence, through various roles and personal circumstance, I’ve been fortunate to have run through my possession an original Palm Pilot 3, Palm IIIx, Handspring Visor (remember them!? ), Palm Zire 71 and the pinnacle being a Palm Tungstan T3. The T3 served duty for some 4 years and I only sold it last year on eBay to make way for my first smart phone. It was an awesomely well sorted piece of kit with a rock solid operating system and fantastic functionality, battery life and ergonomics. Hand in hand with this, my mobiles of choice since 1995 have ranged from what would surely rate as an antique analogue Nokia 100, Ericsson GH337, Ericsson T10, across to what I thought at the time was a very cool Ericsson T39, Nokia 5110, Nokia 6230, Sony Ericsson T610, Motorola V620 (AWFUL Ergonomics) and a Sony Ericsson K610i. The key thing with all of these devices was that they had good battery life, were stable, secure and kept me productive whilst on the road and doing my job, staying in touch with friends and family. I made my first foray into smart phones in 2007 with a O2 Atom Exec, which was a nice device, aside from running Window’s Mobile, which frankly, was appalling next to the smoothness, stability and functionality of the Palm OS. To say that I had grown spoilt by Palm’s excellent operating system is a gross understatement of the highest order. The unfortunate situation with Palm going across to Windows Mobile for their Treo range of Smart phones only jaded my faith with Palm and what had been a memorable relationship. The honeymoon was over. Since that time, I’ve graduated to my current device, a Blackberry Curve 8330. A significantly different beast from my previous phones, I became a Crackberry addict from day one, as it has the same level of stability, battery life, functionality and robustness I had come to enjoy with the 2 device lifestyle I lived for so many years. Then along came Apple’s iPhone. I’ll paint a picture. I work in a Digital Services agency and suddenly 7 of them appear within a matter of days, 3 of them within 2 meters of me with the MD, GM & Dir. of Ops. cajoling, daring and taunting me to “upgrade”, because of the App Store, because of the usability, because of the gyrometer thingy, blah… blah… blah…. They said it was inevitable. In fact, the MD said too me at one time “Come on Col, just give in. You know you want too”. You’d think I’d been teleported and had landed in Apple’s Cupertino HQ and these guys had shares in Apple the way they were selling me the benefits. You can guess who was left defending RIM’s finest against the arm bending/dipping maniacal actions of my App Store talking, pick one: Urban Spoon, Weather, Word Scramble, Flight Control, smug colleagues. Then my wife get’s an iPhone and I have a really, really good opportunity at trying this “Smart” phone out. 1st thing. I get 80+ emails a day. Big attachments, often long, lengthy audit trails of response. There goes my data plan. Big time. 2nd thing – battery life or lack there of. It’s downright awful. 1 day??? I thought I was downgrading from 10 days standby/5 hours talk time with my T3 & K610i to the Blackberry’s Herculean 5 days/5 hours next to the Apple’s paltry offering. And what’s with the aversion to “Cut & Paste”? And not being able to send multiple SMS at once nor receive MMS are also big downsides in my book. The upsides? That App Store – it IS fantastic. Web Browsing on 3G/Wireless. The fact it HAS wireless – what drugs were the Blackberry guys on when they neglected to include Wi-Fi with a Generation 4 phone? The web browsing experience is superb, font and image rendering, page caching in slide screens, zoom view, the whole lot. Contact’s integration with both Outlook & Mail is great. Contacts handling on Mac’s (we have one at home) is something Apple have had down pat for years – change the contact in any location – Address Book, Mail, iCal, it syncs and just works. I had resigned myself to the fact that I was going to join the Apple masses and ditch my email connectivity, in favour of all those pesky games. 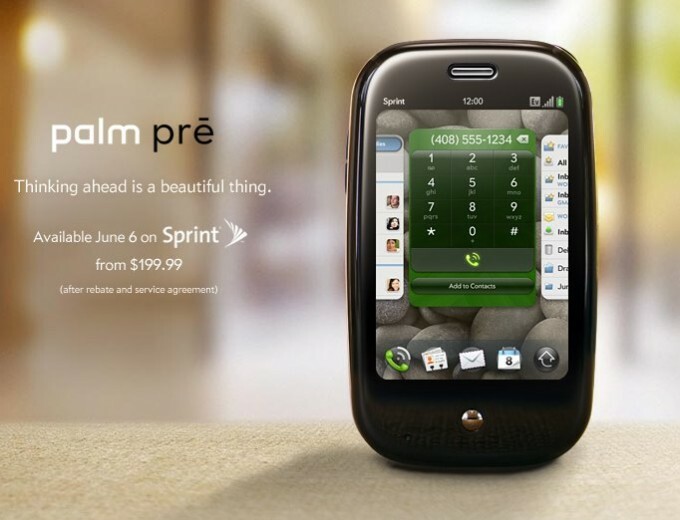 But then I saw the new Palm Pre tonight. Check out the Video’s in the “Meet the Pre”. THAT’s usability. Merged Contact & Diary’s between Google Gmail, Outlook and Facebook all at once? That’s contact management. If the User Experience is 50% of what is shown on this site, I cannot wait to get my hands on one of these units.